POINT LOOKOUT, MO. — Jeff Struecker, author, pastor, and former U.S. Army Ranger, spoke to students in the Jones Auditorium at College of the Ozarks on Monday, Feb. 4, 2019. During the convocation, students heard the powerful story of the operation in Somalia, about which the movie “Black Hawk Down” was produced in 2001. Struecker shared that as a squad leader in the operation, he was able to remain calm and lead his mission, even amidst the overwhelming gunfire that killed one of his soldiers. He attributed his peaceful demeanor in combat to his Christian faith and having eternity settled in his mind. “Major Struecker’s heroic service epitomizes patriotism, yet he is most emphatic when sharing his faith in Christ. Beyond his love of country, his faith secures for him much more—a freedom that rings eternally,” said Robert Jeffries, junior engineering major. At age 18, Struecker enlisted in the Army as infantryman and retired as a chaplain with the rank of major after 22 years of active service. In 2017, he was inducted into the U.S. Army Ranger Hall of Fame. The majority of Struecker’s Army career took place in special operations units within the U.S. Army’s 75th Ranger Regiment. His combat experience includes participation in the invasion of Panama, Operation Desert Storm, Black Hawk Down in Somalia, and more than a dozen combat tours in Afghanistan and Iraq. Struecker has been awarded medals for valor in combat and has received many medals as recognition for his service in the Army. He completed more than 10 years as an Army chaplain before retiring in 2011. 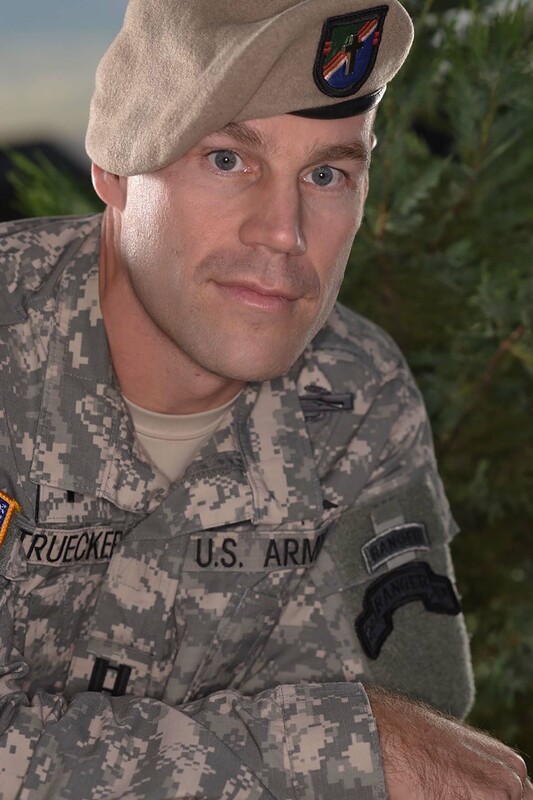 In addition to his military experience, Struecker is also a pastor and an award-winning author of five published books. He has a Ph.D. in philosophy from the Southeastern Baptist Theological Seminary in North Carolina. Struecker currently serves as the lead pastor of Calvary Baptist Church in Columbus, Georgia.